BPW is Europe’s leading manufacturer of commercial trailer axles, and offers axles with capacities up to 30 tonne. Designed and developed in Germany, BPW axles have been used in Australia since the 1950s and are well proven in our demanding conditions. BPW manufactures its components to exacting standards to ensure longevity and reliability. Many customers attest that BPW equipment is their safest, lowest cost option. The proven design and construction of BPW drum brake axles makes them suitable for every application. They’re hard wearing and extremely long lasting, even under the harshest conditions. 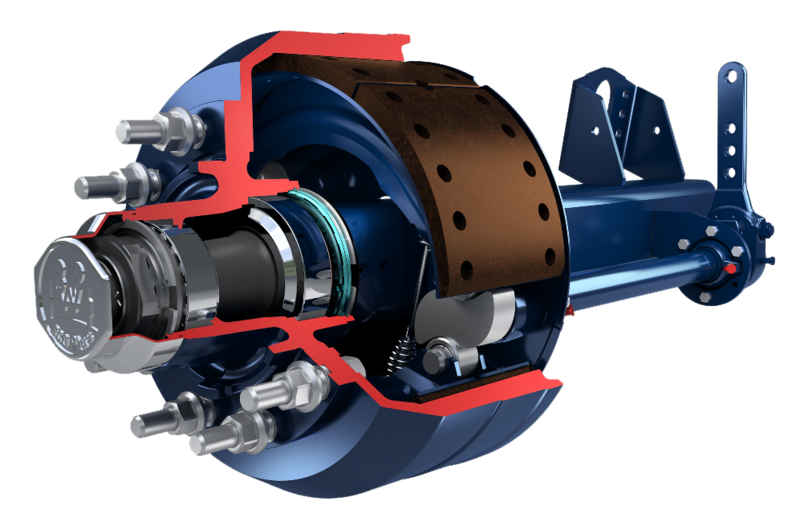 BPW has developed and manufactured a disc brake tailored for trailer applications, and is the only supplier of heavy commercial vehicle axles to have a proprietary disc brake. As with the tried and proven BPW drum brake, the in-house development of the disc brake ensures customers can expect a reliable product with the best performance in its class. BPW self-steering trailer axles offer improved manoeuverability, less tyre wear and reduced fuel consumption, saving valuable time, energy and money.